I love Sundays. It’s probably my favourite day of the week, getting ready for the week ahead, sometimes involves a roast and everything is (normally) pretty chilled. Chilling out on a Sunday is important because I feel like it sets you up for the week, so I thought I’d share with you some ways I relax to help you smash Monday. 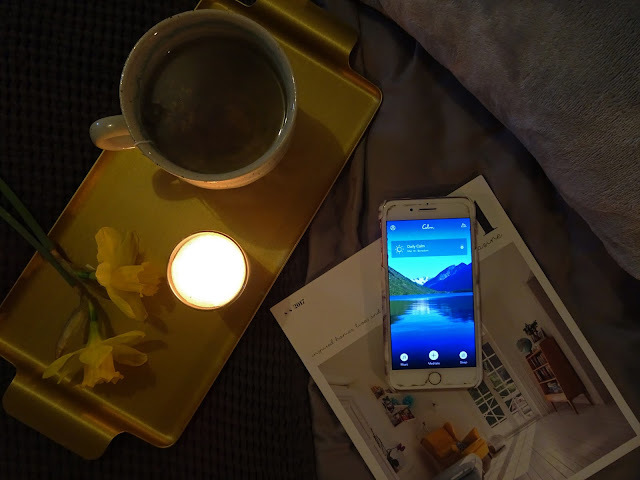 Now I love to be organised and I know it doesn’t come that easy to everyone, but here’s just a couple of things I do can help those anxious thoughts whilst falling asleep about how much you have to do or something you may have forgotten. Writing a to-do list for the week ahead will help to get all your thoughts out and help to organise them better – plus, writing them all down makes you realise that you don’t have as many things to do as you thought, or that what you do have seems more manageable! If you are feeling extra organisey (a new word I made up and now might use to describe myself) you can then separate that to-do list into days – giving yourself a few tasks to do each day to making things more manageable. I sometimes break up my to-do lists into ‘commute time’ or ‘lunch breaks’ so I get things done that isn’t in my free time and it feels less like a chore. Another way to plan for your week is to look at your calendar at all your appointments coming up for the week. This might sound silly, but it really helps to remember deadlines, organise outfits, plans and food and helps you to generally know if you have a big week or a fairly chilled one coming up. Never underestimate the power of a good cup of tea. 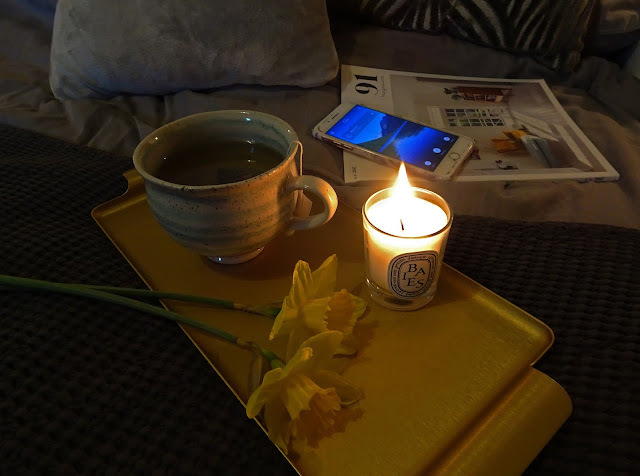 A tea in bed is one of my favourite ways to relax at the end of a Sunday – just being able to chill in bed reading a book, browsing Instagram or even writing my to-do list. Recently, I have been drinking these herbal teas from East India Tea Company*. I find switching to herbal teas in the evening help to aid a peaceful sleep and these teas really help that. This gift box (great for a tea-lover present!) 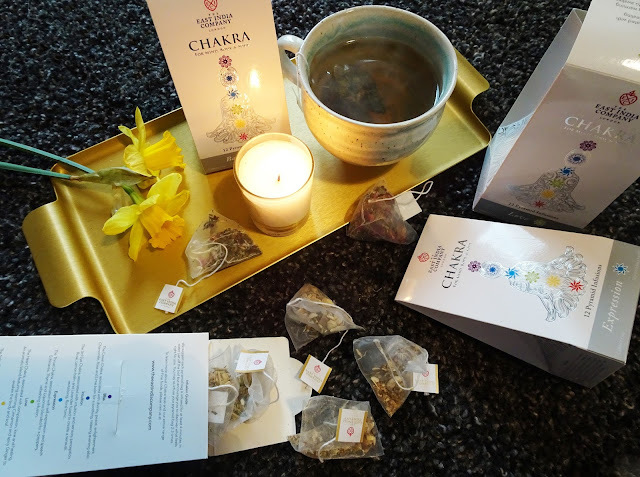 is called Chakra for mind, body & soul and consists of 6 different teas all with different herbs, spices and flowers helpful to relax or energise – depending on your choice. The teas vary in flavour, but some include Chamomile which aids peaceful sleeping, herb & root which helps digestion and Cinnamon which is nice and warming. There is something for most moods in this gift box and these teas are what I reach for in the evenings to relax. 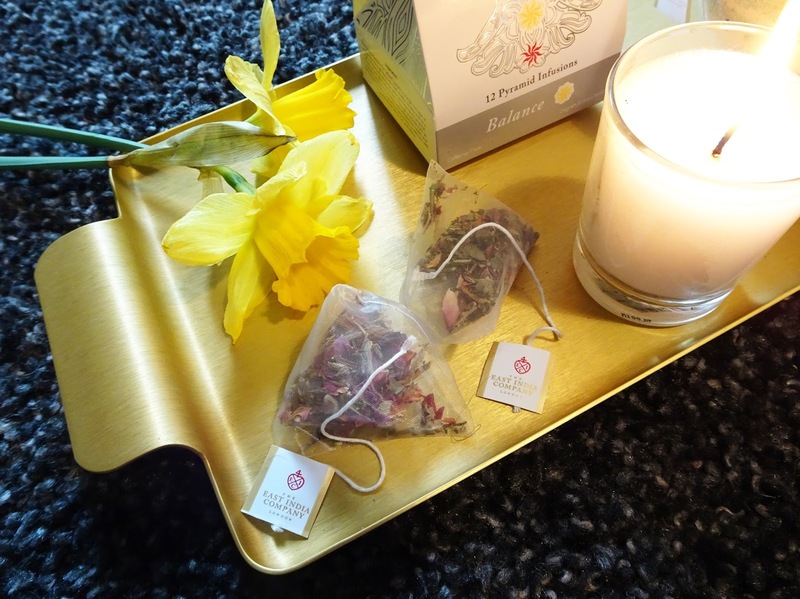 The collection includes six Chaka Herbal infusions and the Bliss infusion which helps to enable your mind, body and soul to turn inwards at the end of a busy day (which basically means that it helps to relax you). The other teas within the set are also used to compliment this. Each tea is different in flavour, I like that they are different to normal herbal teas and the mixture of flavours and infusions are wonderfully comforting and relaxing. Another method of relaxing in an evening is meditation. I am a covert to meditation (I urge you do it if you haven’t already) and try to do it as much as possible. Yoga is also something I try to get into occasionally – both are good just to clear the mind and just be present. 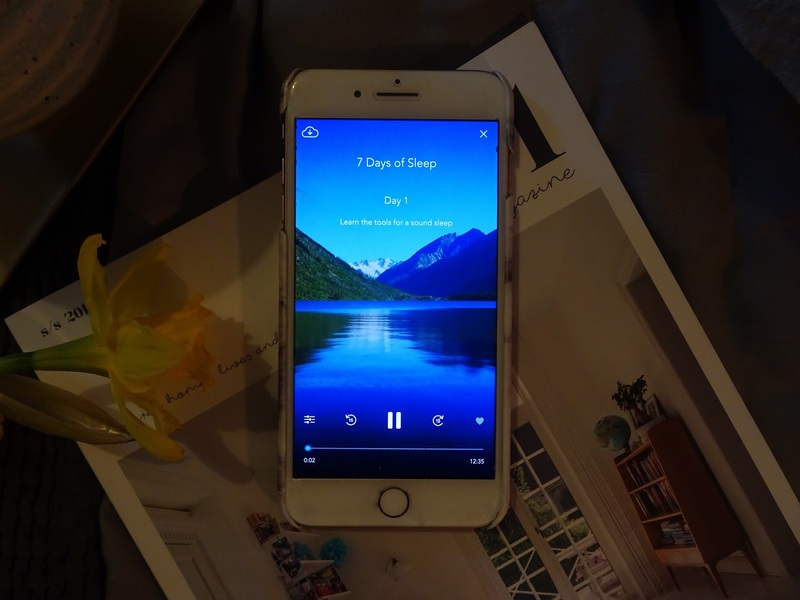 I use the app ‘Calm’ for meditating (which is free!) and tend to do a session in bed or just chilling on the sofa – using an app means a session can be done anywhere and sometimes can even help in the middle of the day if you feel especially stressed. Meditation is something that can be hard to get into but stick it out because once you get into the groove it can be really useful and calming. Anyone that suffers from anxiety I highly recommend it to chill out and put your ducks (thoughts) in a row. You can choose short or long sessions so don’t worry about it taking a lot of time out of your day! Yoga is a little more active, but you can do it in the comfort of your own home (yes, you can do it in your pyjamas!) I use ‘Yoga with Adriene’ which is a 30 day yoga challenge for beginners, if you’d like somewhere to start. She also has lots of other sessions if you complete the 30 days or want extra sessions. Stretching the body and using your muscles helps to relax you and this time is a good time to not be on your emails, not be stressing out and just taking some time out. Again, Yoga isn’t for everyone and can be hard to start with, but I found Yoga with Adriene really useful as a beginner to help slowly build up to get better each week/session. I feel like these days It’s hard to get a hobby with how busy everyone is and, if you do manage it, it’s hard to keep at it. Taking Sunday evening to do something you enjoy doing can prove very relaxing. It can be something simple like being away from screens and reading, going for a walk, baking or it could be something with a little more time/money investment, like playing an instrument, doing a sport or say, running a blog. Having something like a hobby to spend a few hours on allows you to do something for yourself and takes time out to enjoy something you wouldn’t through work or chores. It may also include meeting people and speaking to people that you having things in common with, which I think it hard after a certain age! It’s important to take time out of your weekend however busy to make time for yourself to set yourself up for the week ahead. You do you and make time for self love! Happy Sunday! *This is post was in collaboration with The East India Tea Company. To see more of their product range and find out where you can visit to try their products, please click here.